This Monday’s round of games in England represents the last flurry of an eventful calendar of football over the Christmas and New Year period. But while the Premier League’s excitement may prove tempting to many football betting fans, it’s the games in the Championship that could be the perfect remedy for any early January blues. With a bumper crop of games to choose from and plenty of bets to be had, you could land yourself with the best kind of festive gift – cold, hard cash. And remember, if any of these bets take your fancy, you can back them with the free £25 bet offered to anyone for joining bwin.com. Both of these sides are enduring difficult form of late in the Championship. Leicester have gone five games without a win in all competitions and their recent away form has been patchy, with their last two fixtures away from the King Power Stadium ending in defeat to Hull City and Doncaster Rovers. Meanwhile, Crystal Palace fans have had little to celebrate at home in recent weeks, other than a solid defensive record. The last five games at Selhurst Park have resulted in three 0-0 draws, with no goals scored before the interval in four of those matches. Betting tip: With odds of 6/1 on a 0-0 full-time score certainly worth a small punt, the more cautious among you may be tempted by a bet on 0-0 at half time, which is available at 31/20 and could bring £63.75 for anyone utilising bwin’s free £25 bet. Middlesbrough have made a habit of sneaking single-goal wins in recent weeks. Four of their last five games have seen them score just once, with three of their last four victories also coming by a single goal. That said, Blackpool are in decent form too, despite a similar lack of goals by their own high standards. Ian Holloway’s side have scored a single goal in three of their last five games, with their last two wins coming via a 1-0 scoreline. Betting tip: With both sides eyeing a potential promotion push, one goal could well decide it and though 27/4 is available on either side coming away with a 1-0 win, backing exactly one goal to be scored at 17/5 is an easy way of covering your bases. Southampton may be riding high at the top of the Championship at present but their away form remains a serious cause for concern, with confidence in general dented following a home defeat by lowly Bristol City on Saturday. Draws and defeats have come thick and fast for the Saints, who have won just one of their last nine games on the road. Interestingly, five of their last six games away from St Marys have also featured two or more goals. Brighton have lost four on the bounce and look to be perfect opposition for the Saints to get back on track, but the formbook could go out of the window in this south-coast derby, making it tough to predict a winner. Betting tip: Back over 1.5 goals to be scored at odds of 3/10. Reading are one of the form teams in the Championship at the moment, with a 1-0 victory over Ipswich Town on Saturday representing their fourth straight win. 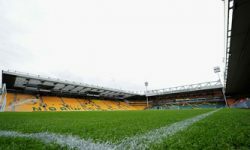 This impressive run has seen Reading dispatch some formidable opponents such as Leeds United, West Ham United and Brighton, and the Royals look set for another assault on the play-offs or better in 2012. Cardiff, meanwhile, have been indifferent of late, with one win, two draws and a defeat in their last four games. Much of Reading’s recent success has been built on a solid early start, with the Royals taking the lead in three of those four recent wins. Betting tip: Back the lead-win selection in the run of play market at 11/20. Doncaster Rovers may be enduring difficulties in the Championship this year, but the visit of an unpredictable Barnsley side could give them hope. After all, Dean Saunders’ men have been on a half-decent run of form at home in recent weeks, with back-to-back wins over Leicester and Southampton. Both teams have seen plenty of goals scored in their recent matches, with 13 racked up in Rovers’ last four games and Barnsley witnessing 18 over the same period. Betting tip: Odds of 6/1 on Doncaster to win a match with over 3.5 goals look too good to miss. Hull City have developed a habit of scoring two goals at the KC Stadium in recent weeks. More specifically, Nick Barmby’s men have scored two in each of their last four games at home. They will be eager to return to form on their own patch too, following recent 1-0 defeats away at Middlesborough and Burnley. Visitors Derby County may remain a force at Pride Park, but the Rams have struggled for form away from home all season and are winless in their last seven on the road. Betting tip: Odds of 19/10 on a Hull City win in a match with over 2.5 goals are worth a look. 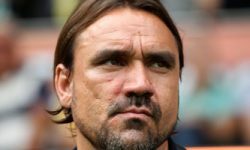 Things look to have settled down for Ipswich defensively in recent weeks and while the Tractor Boys are continuing to struggle in the Championship, they remain a cut above visitors Nottingham Forest. Paul Jewell’s men picked up an important 1-0 win over Derby last time out at Portman Road – the second successive game in which the Blues have scored a solitary goal. Meanwhile, Steve Cotterill is not having much joy in his bid to revive Forest, with the visitors developing a nasty habit for losing 1-0 in recent weeks (four of their last five games have ended in that scoreline). Betting tip: Ipswich to beat Forest 1-0 at odds of 29/4. 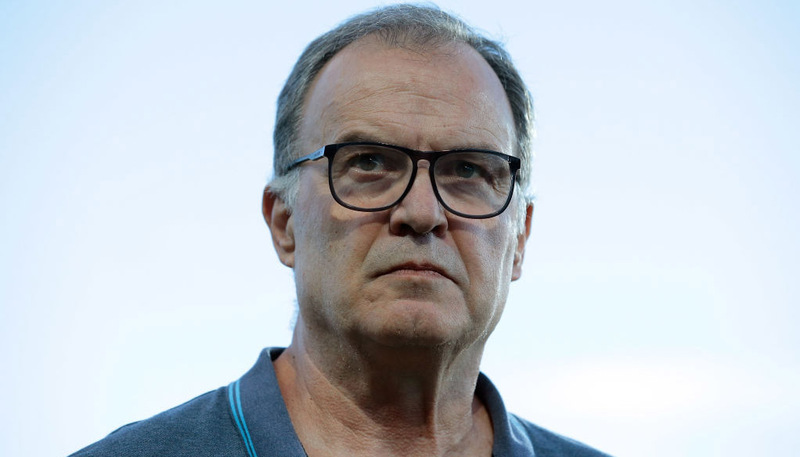 Leeds United have been in shaky form since their 5-0 home mauling at the hands of Blackpool, which certainly casts doubt on any suggestion of an easy home win here. Burnley are proving to be no pushover on the road either, with the Lancashire club coming into this game on the back of three consecutive wins away from Turf Moor. In total, Leeds (who were thrashed 4-1 at Barnsley last time out) have conceded nine in their last five home matches, while Burnley come into the game with eight scored in their previous five away trips. Betting tip: With Burnley outsiders to win, odds of 9/2 on the Tykes to win in a match featuring over 2.5 goals scored could be a punt to watch. Despite the quality of Birmingham’s squad, the Blues remain stuck in midtable, with poor form on the road undoubtedly the main source of their problems. Goals appear to have dried up in recent games too, with three of their last four away trips in all competitions ending in a 1-0 defeat. However, Peterborough remain prone to conceding and have let in a solitary goal in two of their last four matches, while also scoring exactly once in each of those matches. Betting tip: A 1-0 win either way looks on the cards, so hedge your bets by backing exactly one goal to be scored at odds of 9/2. Both of these sides are struggling for form in the Championship and while Pompey may be slight favourites, one result to look out for could be a 1-1 final score. After all, aside from a 4-1 destruction of Doncaster Rovers on New Year’s Eve, Watford have developed a habit for draws, with three straight deadlocks recorded before that game. On two of those occasions, the Hertfordshire club also came away with 1-1 draws, making the chances of another all here the more appealing. Add to that the fact that Portsmouth have conceded one goal in each of their last three games – and drawn twice in that sequence – and it’s easy to see why this selection appeals at 19/4. A recent dip in form has cast doubt over the Championship-winning credentials of Sam Allardyce’s West Ham, but in visitors Coventry, they could well find the perfect opponents to allow them to find their feet again. Despite this, Coventry come into the match on the back of wins over Brighton and Bristol City and would have more reason to be confident were it not for their abysmal away record. The Midlands club have failed to win in 13 consecutive games away from home and look unlikely to change that against a West Ham side that has remained steady at Upton Park. That said, the more cautious among you may look to the recent form of both clubs and opt for a safer betting option. Backing exactly three goals to be scored at odds of 16/5 is just that, particularly when you consider exactly three goals have been scored in three of Coventry’s last four away games, while West Ham’s last five games at home have seen an average of nearly three goals in each. Millwall are without a goal on the road in four games and face a resurgent Bristol City side fresh from a 1-0 away victory over leaders Southampton. City’s form remains erratic but recent successes over the Saints, both home and away, have highlighted their resilience. They will also be boosted by the fact that they beat Kenny Jackett’s men 2-1 in their previous encounter barely six weeks ago. City have relied on plenty of second-half goals of late, while Millwall have conceded a whopping 17 of their 27 goals in the final 30 minutes of their matches. Betting tip: Take odds of 9/2 on Bristol City winning after a drawn first half. New customers can register here to claim a free £25 bet or click here to see all our Championship odds.